Security needs to enable developers and the rest of the company. It can’t be a silo that blocks or slows down teams. 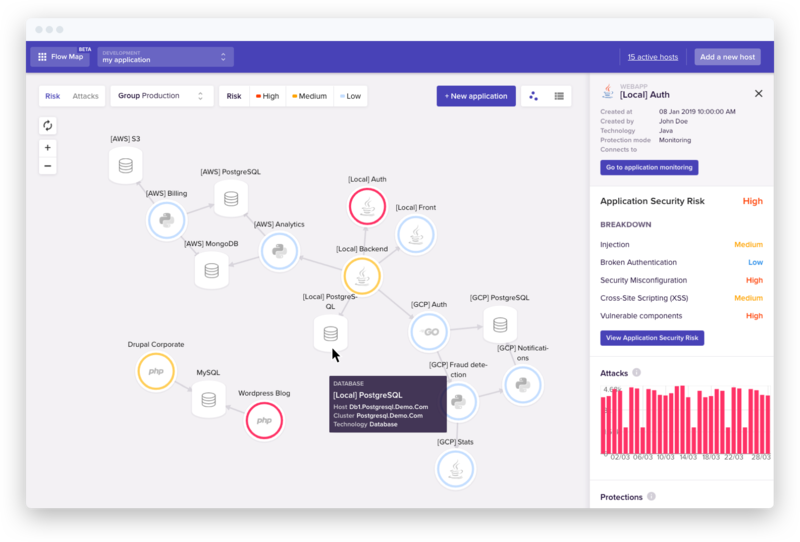 Sqreen decentralizes application security to offer a monitoring and protection platform made to be incredibly powerful yet very easy to use. Sqreen protects against the OWASP top 10 and other critical threats without false positives. Prebuilt security modules (RASP, In-app WAF, and more) can be enabled in just a click. Take full control of your application security. Security teams can push new playbooks without the help of developers, and engineering teams can prioritize fixes based on risk and real attacks data. Sqreen provides visibility into the previously unseen -- what happens beyond the HTTP layer -- and delivers enriched data to any SIEM, SOAR, log management tool or vulnerability management system. Sqreen is open constantly in my browser. I check it every day and keep up with email alerts. As a one-person security team, the value for me is really peace of mind. I know Sqreen will alert me when anything happens, so I can focus on the other security items on my plate. Lower your risk in minutes.